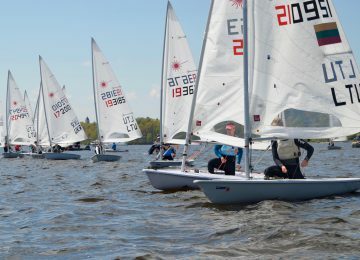 The last day of the 2018 Laser Europa Cup AUT in UYCAs was just like a perfect summer day (in September) – warm and sunny, no clouds on the sky. But on the other hand this meant no wind for sailing races. There was not even the sight of trying. At 2 pm the race committee decided to call it a day and hoisted AP over A.
Consequently, with only one race the Europa Cup is not valid. 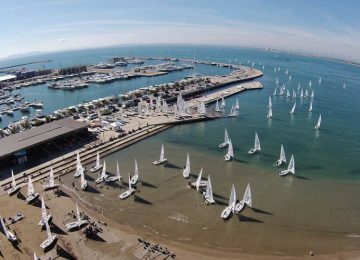 Nevertheless, the prices from the Club and the great gifts for the winners from Rooster Sailing were handed to the winners of Friday’s race in all categories. 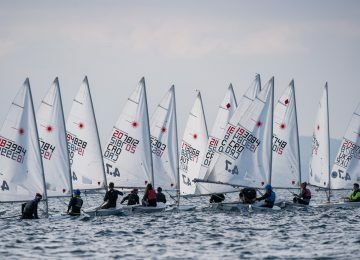 At the second day of the 2018 Laser Europa Cup in Austria, there was unfortunately more waiting than sailing. But at least with warm sunshine instead of cold rain. In the afternoon, around 5 pm the race committee saw some chance to race with 5-7 knots from Northeast. 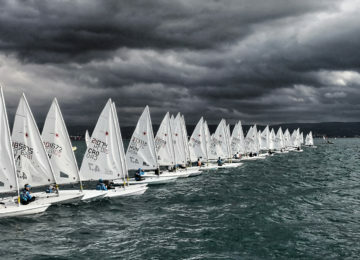 Standard and Radial were started but the races had to be abandoned as the wind decreased and conditions worsened. 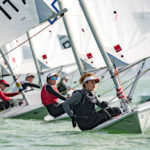 As there was no sight for more wind to race, all boats were towed back to the club and sailors enjoyed the pasta buffet. 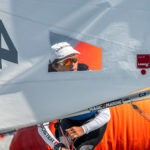 First day of races at Union Yacht Club Attersee for the 2018 Laser Europa Cup Austria. 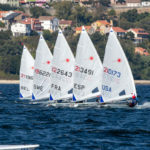 Sailors from 11 different nations enjoyed of the Laser Standard (21 competitors), Laser Radial (47 competitors) and Laser 4.7 (23 competitors) racing. 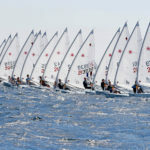 First Race started as scheduled at 13:00 with nice Wind from South. The rain was not an issue for sailors and motivation stayed high. But the 30-50 degree shifts and the decrease of the Wind to 3 Knots led the Race Committee to the decision to go back to shore. After waiting and drying for 30-45 min the rain stopped and the Wind from South refreshed. So every one back outside again! 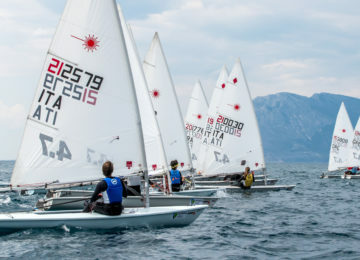 All classes sailed one race, although Radial and 4.7 had their finish at the windward mark due to the decreasing wind. The day finished with some sunshine while sailing (slowly) to the club and a delicious sailors dinner. 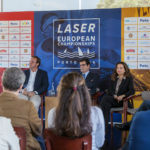 Report by Agustín Argüelles – EurILCA | Source: Marita Schmid – Austrian Laser Class Association.